As we near the Olympics some of the staff that will be helping us get around London are still in disagreement over bonuses they have have been offered. Londond Underground engineers who belong to Unite have this week agreed an £850 sweetener. 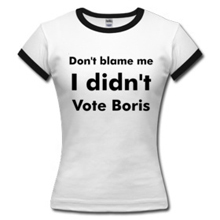 However bus drivers feel that London's mayor, Boris Johnson, has "turned his back on" them and are preparing to ballot for strike action. However when referring to staff work on London's buses he said: “Unfortunately Boris Johnson has turned his back on over 20,000 bus workers who will be on the frontline during the Olympics. They are the only transport workers in London who will not receive an award for their major contribution to keeping London moving during the Olympics. "London's bus operators' failure to even talk to Unite about an Olympic award - and Boris Johnson's refusal to intervene - means there is a very real prospect of a capital-wide bus strike." 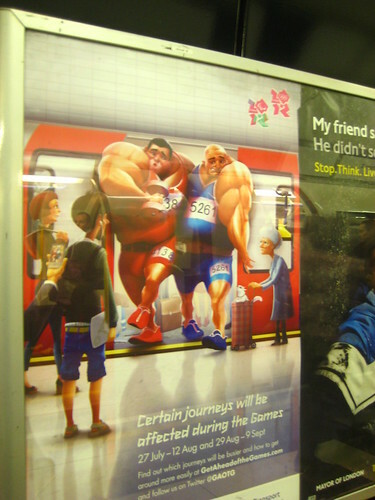 Just in case you think this mean we are in for a Tube strike free Olympics, think again. Nothing has been agreed with the RMT yet. LBC report the that talks that started on Tuesday 8th May over the £850 one off payment at conciliation service ACAS between London Underground and the RMT have ended without agreement. "The Union claim a deal was agreed and close but was reneged on by transport bosses who've concluded a similiar deal with the Tube drivers union ASLEF. Now they're promising a ballot for industrial action "very soon" short of a strike during the Games."